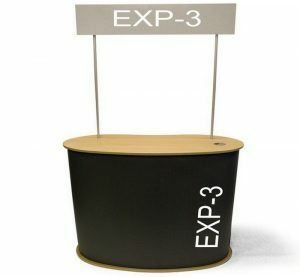 The EXP-6 Sampling Counter is a super spacious sampling counter that you can create from a transport case. 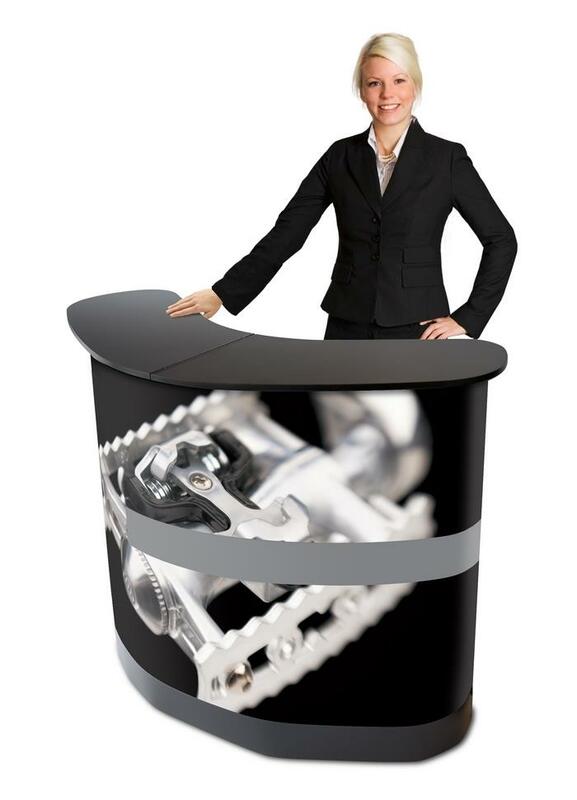 Install it minutes, by opening the transport case, adding a large table top, a graphic on the front and shelves on the inside. 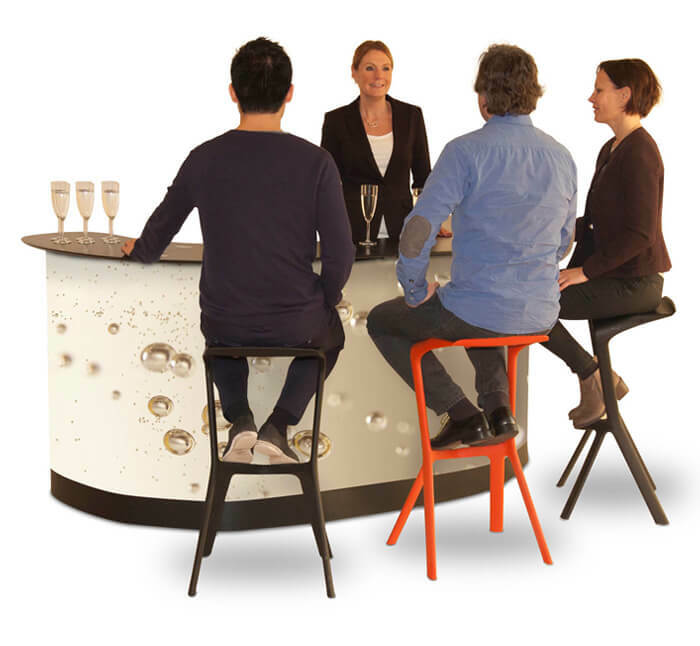 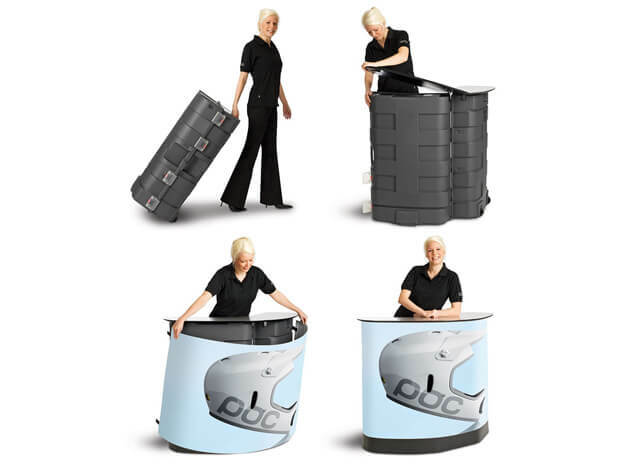 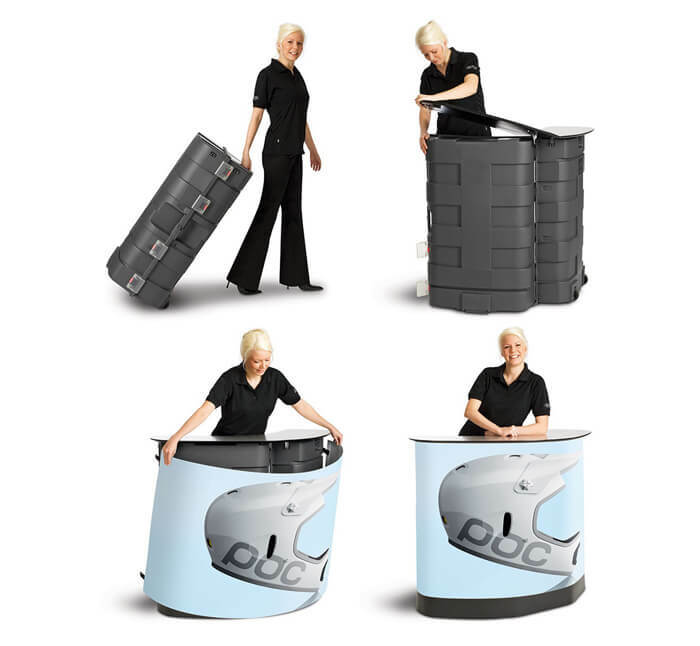 Easy to use, the EXP-6 Sampling Counter is perfect for presentations, product demos or food and beverage sampling at events or within retail environments. 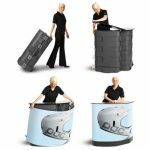 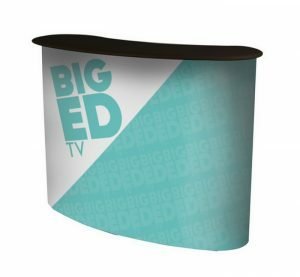 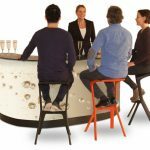 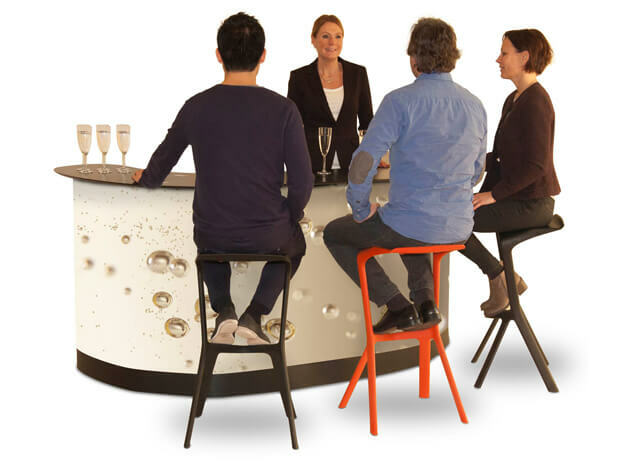 It can also be used as a portable bar.